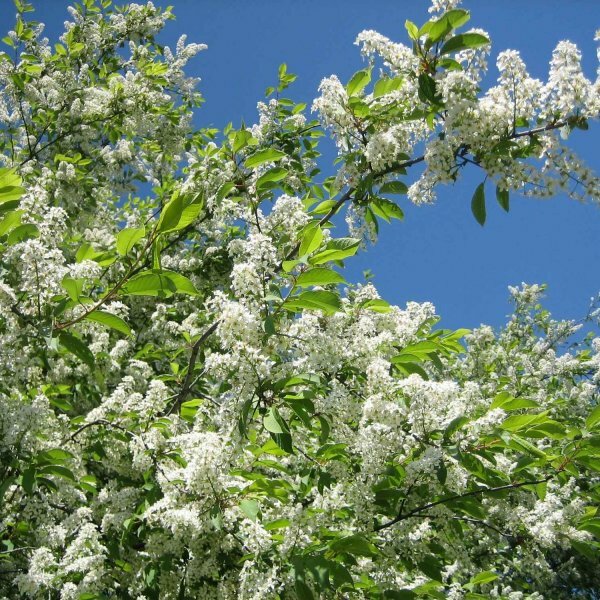 Exceptionally cold hardy and boasting extremely fragrant spring flowers and pretty fall foliage, European birdcherry is a terrific deciduous tree. 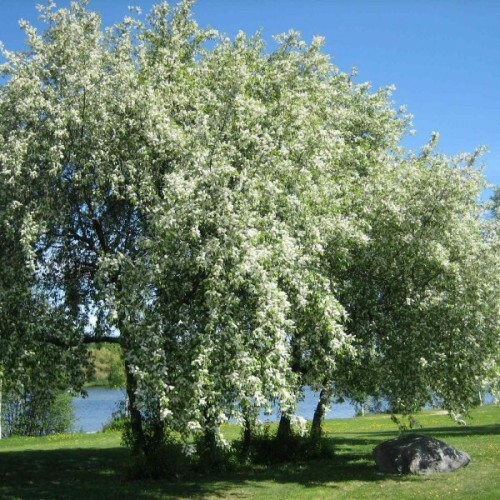 Hailing from Eurasia, from northern Europe fully eastward to Japan and Korea, it is a large shrub or becomes a good-sized tree if allowed to reach full maturity. It eventually attains a broad and rounded shape with ascending branches. Very early to send out its new leaves in the spring, often the young foliage is tinted in interesting shades of bronze-green. Once mature, the leaves are a dull green and have an oval but pointed shape. 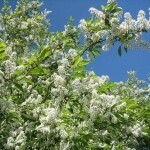 In mid-spring, young red branch tips are filled with drooping spikes of fragrant white flowers that nearly mask all of the leaves. 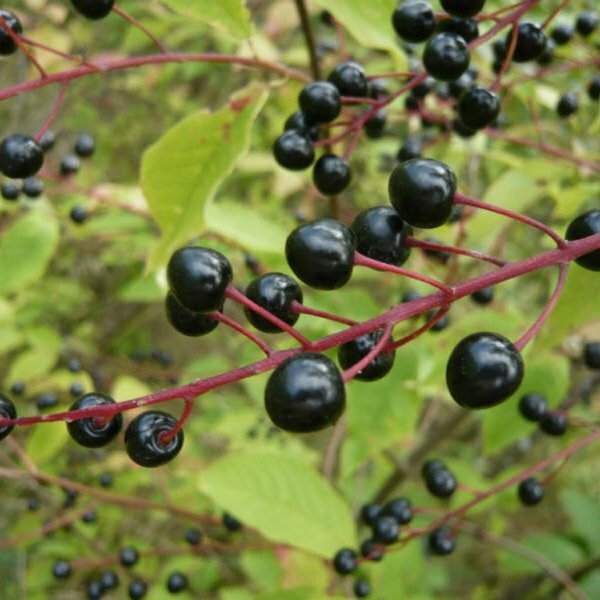 Once pollinated, small purple-black fruits develop and ripen by late summer, very bitter to the human tongue, but loved by songbirds. Fall foliar displays include a wide potential range of yellow, orange and bronze, even some red.